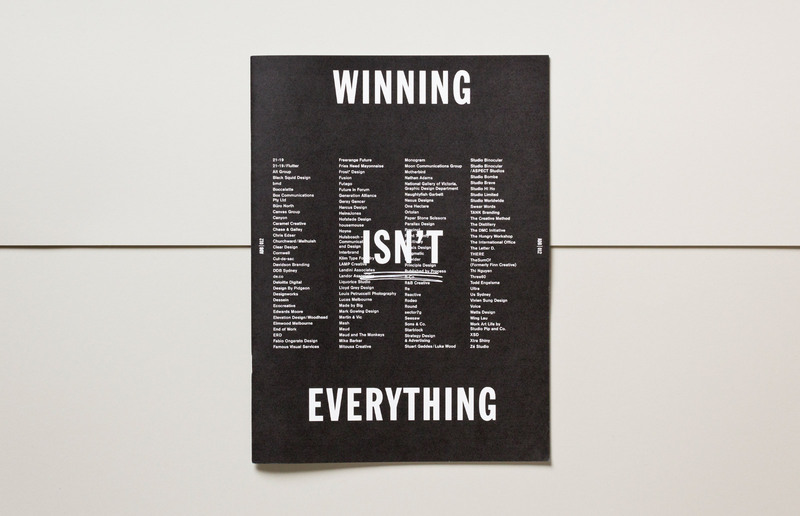 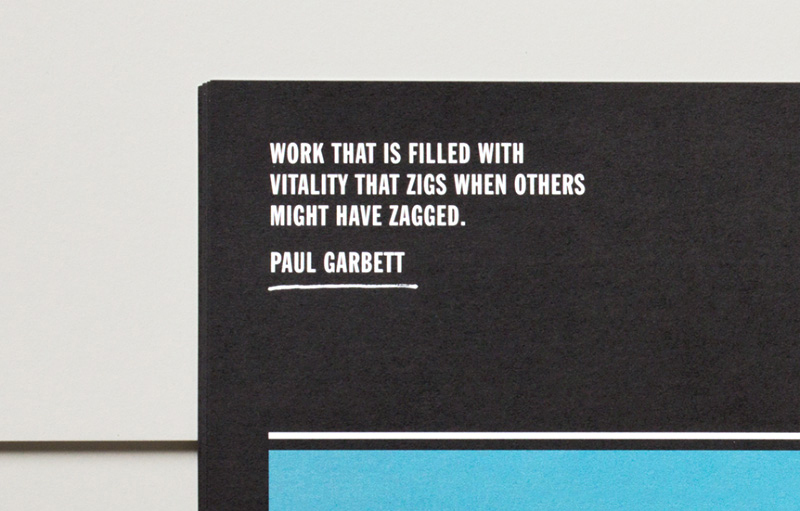 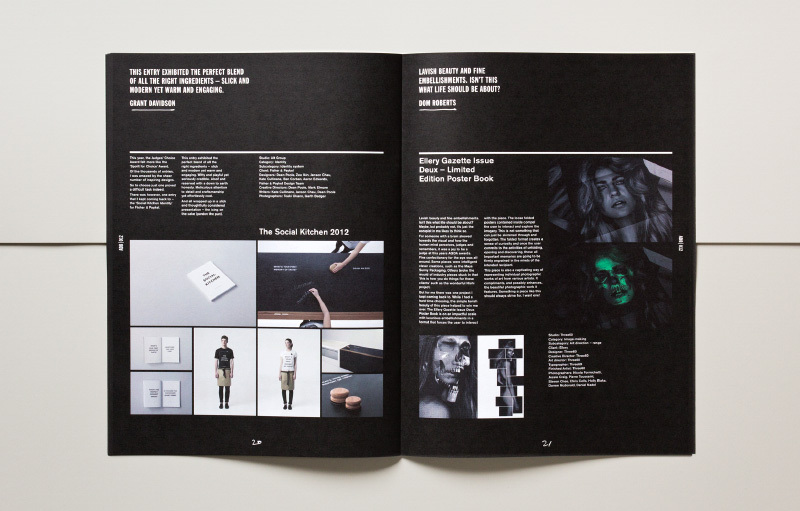 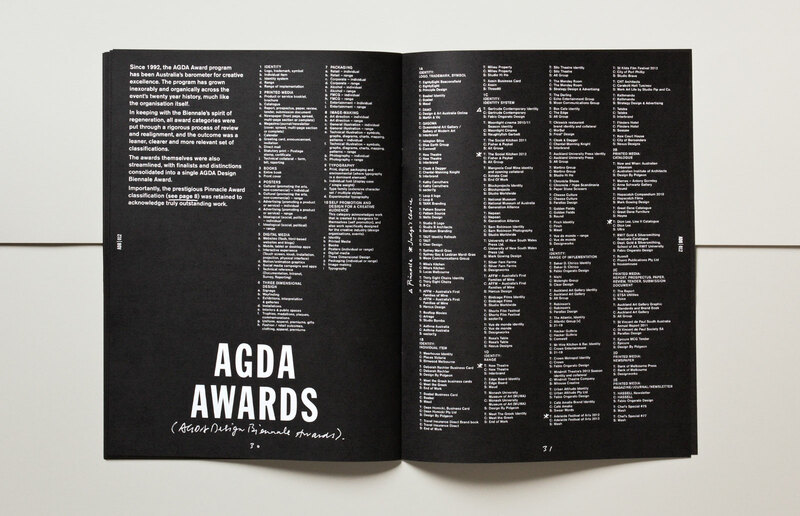 The 2012 Australian Design Biennale (ADB012) was AGDA’s rebadged biannual awards event. 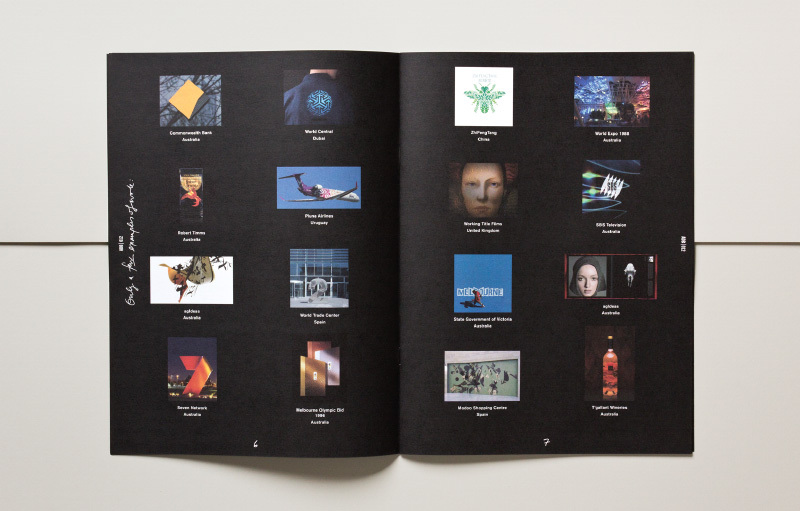 Under the leadership of creative director Andrew Ashton, the program was reviewed, refreshed and re-imagined within an umbrella theme of ‘Start Again’. 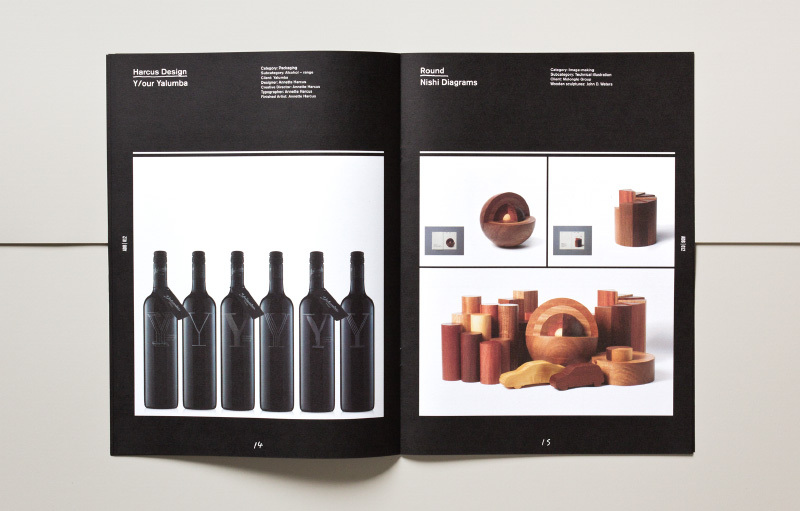 This back-to-basics philosophy was given visible form in a direct, simple but compelling brand identity developed by Ryan Guppy from 21-19. 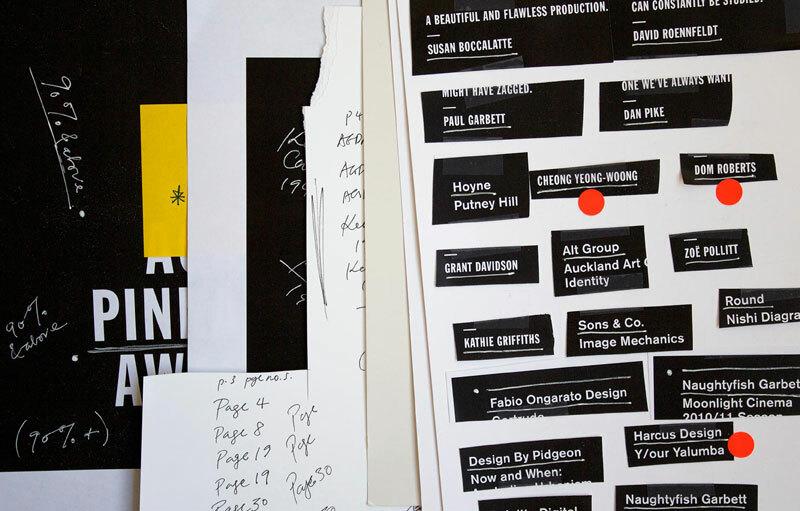 Elements of the ADB012 campaign were then designated to members of a small volunteer coterie, including ourselves. 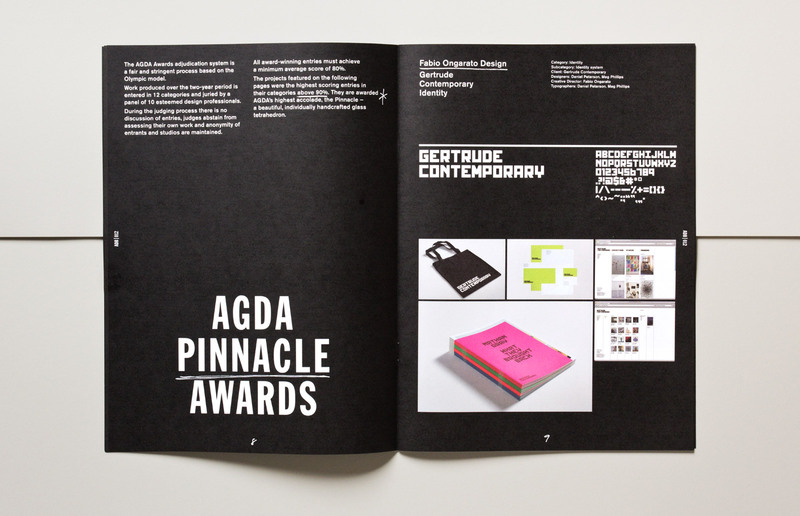 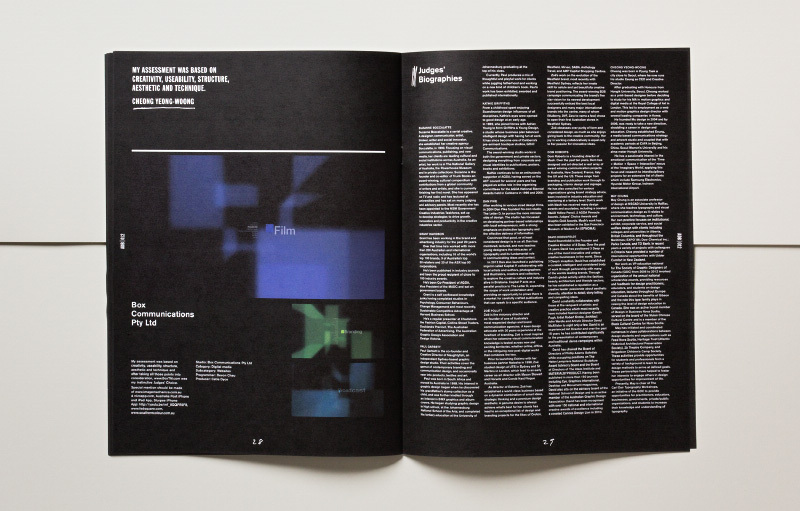 The production of a condensed awards publication was our specific undertaking. 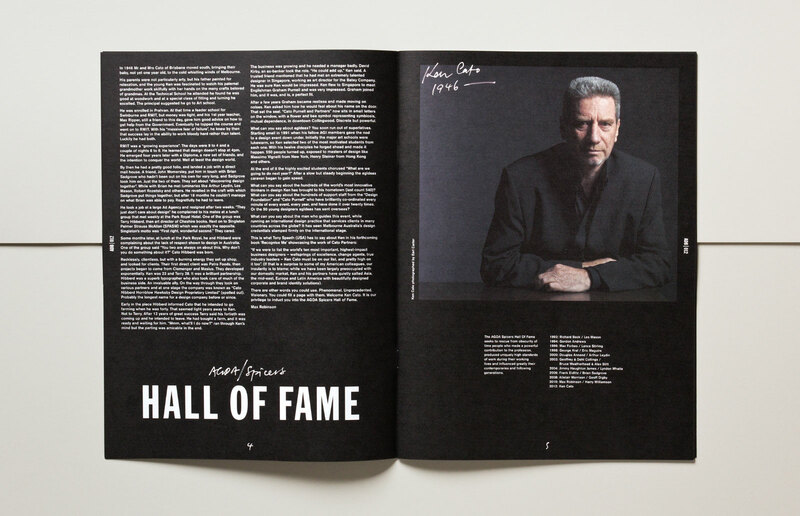 Working within a compressed timeframe, and with last-minute content changes inherent in such a project, we designed a 36 page booklet, printed and delivered the day before the event. 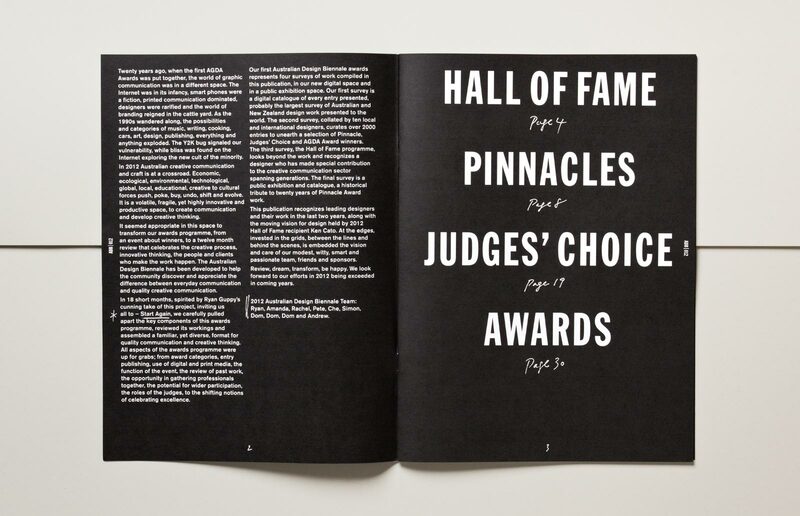 A comprehensive awards book will follow later in 2013.